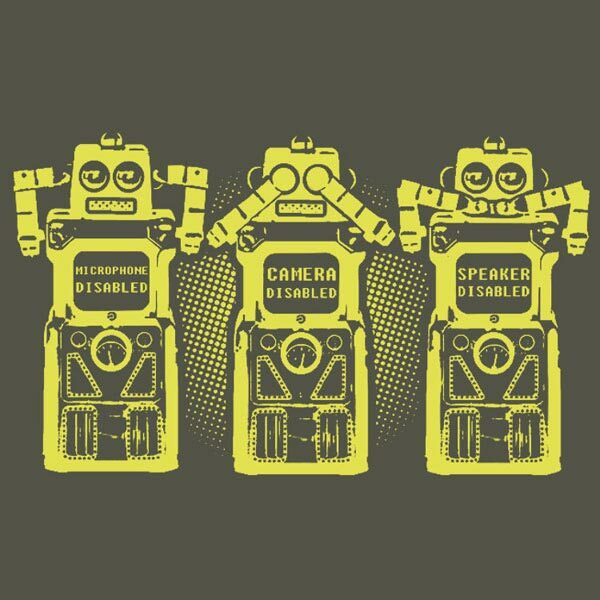 Here is another fun geeky t-shirt that would make a great addition to any geeks wardrobe, the Three Wise Bots T-shirt. A Long time ago there lived on one side of a Mountain, a wise and good Robot King. There was a Great Evil on the Other side. The Kings councilors, were three very old, wise robots. By tradition, only they knew the existence of this Great Evil. They knew that if anyone heard or looked on this Evil, his heart would be hardened and woe would befall the Robot Kingdom. One day while they gathered a rare wild flower for the King, they heard a shriek. They peered through some bushes to check what it was and unwittingly gazed upon the great evil. One covered his eyes but he heard. One covered his ears but he saw. One covered his lips to push back this dreadful secret deep within himself although he saw and heard. They knew their hearts were spoiled forever. They huddled together on a drooping willow branch, chattering and whispering dolefully for hours. By nightfall they decided to follow the counsel of the one who had seen and heard all but would not talk about it and by emulating him, they kept the secret sparing the King and his followers a terrible fate. 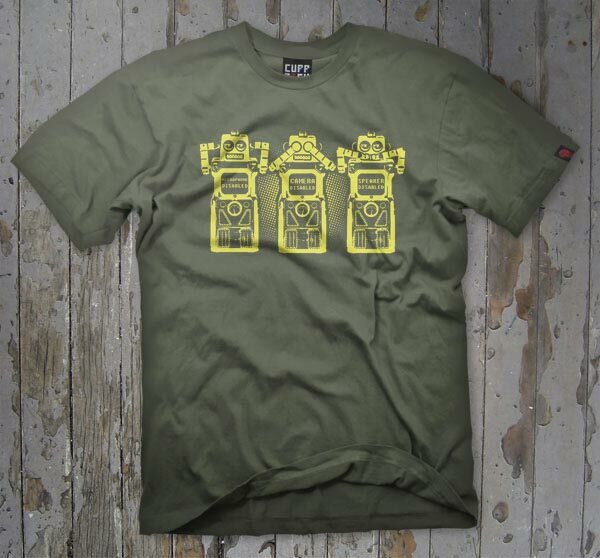 If you want one, the Three Wise Bots t-Shirt is available for 55NZD about $39.36 from Cuppa T-Shirts.